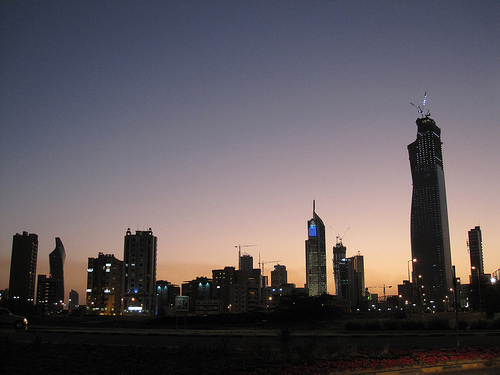 In Kuwait, people have a preference to conduct business with people they know personally. This means that it will take a long time to get to know your Kuwaiti colleagues and establish a relationship. During this process, it is important to remain patient, as this is seen as a good virtue. When introducing yourself, make sure to tell them of any educational degrees you possess, as this quality is respected. You should also dress well when doing business in Kuwait, as clothing and appearances are significant, especially during first impressions. Men should wear lightweight, conservative suits. Women should try to not reveal much skin in the business world, and should have skirts below the knees, shirts past the elbow and up to the neck. As for meetings, government employees prefer to meet in the mornings, and business people prefer to meet in the afternoon or evening. Avoid planning meetings during July or August. It is unbearably hot, and many people take this time to escape the heat and go elsewhere. During meetings, do not be surprised if they are stalled because of Islamic prayer time. It is also common for business meetings to be interrupted by new people walking into the room and bringing up new topics of conversation. People will only start negotiating once they feel comfortable and friendly with new colleagues. You should not be aggressive or use pressure when trying to make a point. You should also state your main points a few times over, to indicate that you are being honest. Any proposal or contract should be written in very simple terms. Even though meetings in Kuwait are done in English, the contract will be in Arabic, so you should make sure to have this interpreted before you sign it. If there is an English version and an Arabic version, the Arabic contract will be implemented. It will generally take a long time to make decisions, as Kuwaitis are not motivated around timeliness. Many companies are owned by families that have an existing hierarchy. Although decisions are made at the top of the company, matters will be discussed with many different people before anything is determined. In terms of business cards, you should have one of the sides translated into Arabic. Business cards are supposed to be exchanged with all of the people you meet.